At the age of sixteen I started to train Kung Fu – WuShu style. Since 1998 I started studying Ba Gua-Kung Fu. Than in 2009 I started practicing Kick Boxing K1, in 2010 Kick Boxing Full Contact and in 2011 Kick Boxing and Boxing, with 2 of the world’s most renowned instructors. In this period I attended to a stage of Krav Maga. And it was love at first sight! 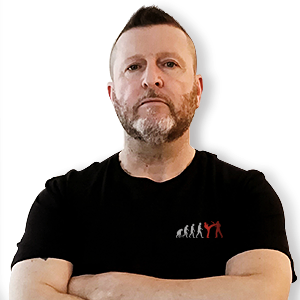 Since 2014 I’ve achieved Krav Maga Civil Instructor qualification, trainer in Military Self Defence Krav Maga method and trainer in True Krav Maga. I started teaching K.M. since 2014, with my own school Extrema Ratio M.K.M.S.